The villas were so unique. Comfortable and clean. It is a romantic place to stay. Also, close to beautful beaches and great restaurants. Would go there again. The owners were lovely,the villa smashing and so relaxing. The rooms were charming and clean and tidy.We loved our little lizard friends we kept the bugs at bay on the veranda in the evening. A lot! The view from the balcony, very clean apartment, the great food and the lovely service of Christos and Elena! We really enjoyed our staying at Revera Villas. The hotel is surrounded by nature and from our balcony we had a great view over the sea and the coast area. The personnel is being helpful, fluent in English and of course very friendly. We felt welcome right from the beginning. All of the the food is self made and especially the dinner is recommendable. We often received cake or other sweet temptations for free. We really hope to come back one day! The staff were so welcoming and amazing. We stayed for 2 nights but you could definitely stay here for a week if you like country style holidays. There is a beautiful pool and the villa was totally self sufficient. Other than the accommodation there isn’t much around at all so it’s very relaxing. Great hosts, beautiful setting, very nice room, and delicious homemade food! We stayed a family of 3 (child age 4) in a studio apartment and it was perfect with good space and a nice little kitchen area. Remember to book dinner and try Christos' delicious variety of typical Greek food. So tasteful and well made! We felt so very welcome here - and being such a small place felt a lot of intimacy and good spirit between both personnel and guests. We really hope to come back to visit again one day! Exceptional people, nice relaxing place, very nice and warm pool, sunset view best on island and accessible everything aroud, best breakfast and wonderful room. 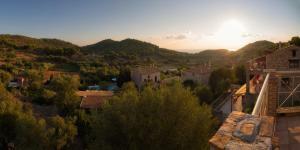 Lock in a great price for Revera Traditional Stone Villas, Apartments & Studios – rated 9.1 by recent guests! One of our best sellers in Keri! 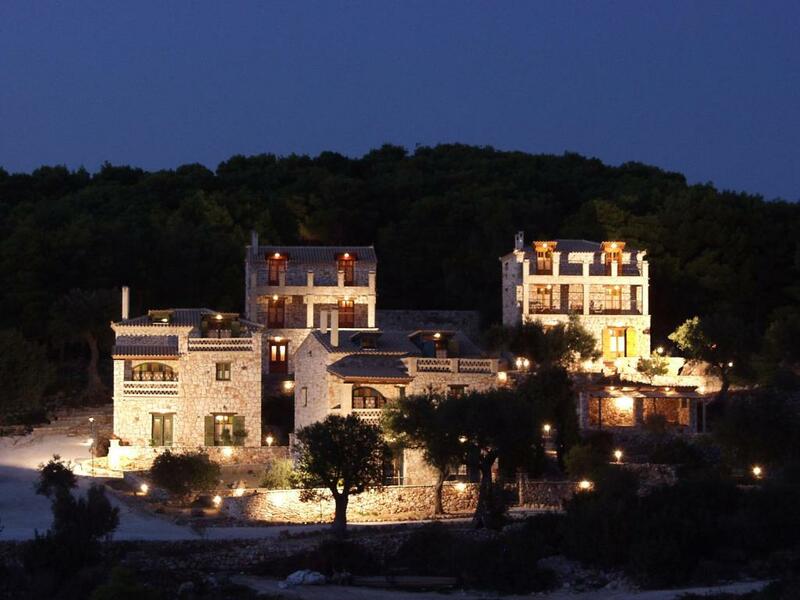 Set in a lush area of pine and olive trees in Keri village, Revera Villas is a complex of stone-built units with a pool, restaurant and outdoor bar. It offers accommodations with a fully equipped kitchen and sea or pool views. The studios and villas at Revera feature stone-built walls, iron beds and wooden-beamed ceilings. They include traditional living areas and are equipped with a fridge, oven and coffee maker. All units open out to a furnished balcony or patio. Guests can taste traditional Ionian cuisine at the on-site restaurant featuring an outdoor terrace with colorful chairs and tables. You can also have a BBQ or enjoy a drink by the pool offering relaxing views of the surroundings. The nearest beach is 2.5 mi away. Zakynthos Airport is 9.3 mi away, while the main town and port of the island are at 16 mi. Within 9.3 mi, you can visit the famous beach of Navagio. Free Wi-Fi and free on-site parking are provided. 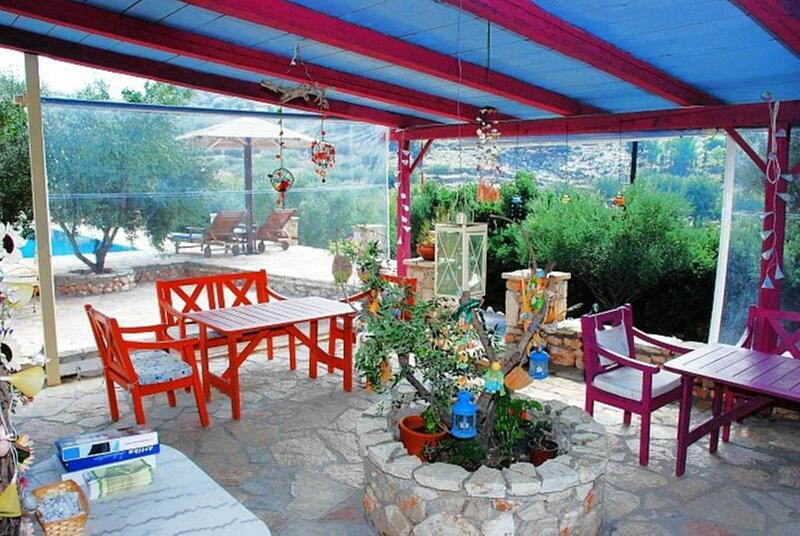 This property is also rated for the best value in Keri! Guests are getting more for their money when compared to other properties in this city. 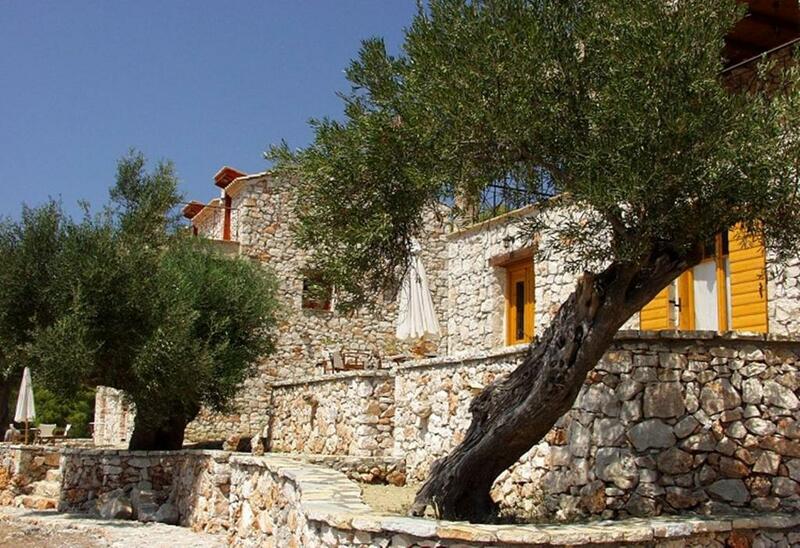 When would you like to stay at Revera Traditional Stone Villas, Apartments & Studios? Traditionally built studio with kitchen, and a furnished balcony overlooking the Ionian Sea and the pool. Featuring 3 separate bedrooms, this stone-built villa includes a kitchen, living area and 2 furnished balconies overlooking the Ionian Sea and the pool. This double room has a balcony, electric kettle and sea view. What we want to provide is alternative vacation, for Zante visitors. Our target is to be in touch with the natural environment and the traditional way of life because we think that massive tourism created a distance from all these. Keri area is the last point of Zante that the visitors can enjoy the original life from the local people. 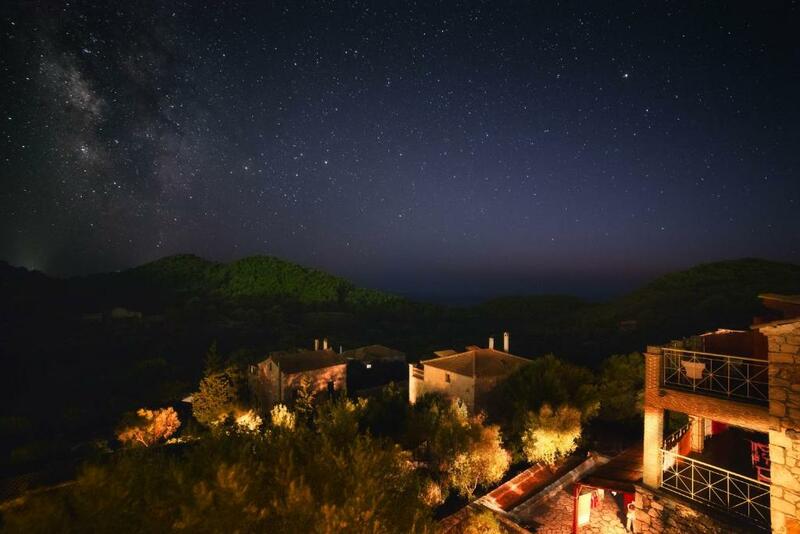 If you like nature sounds, waking up from the light of the sun and see in the night the clear sky with full of stars, then this is your place. House Rules Revera Traditional Stone Villas, Apartments & Studios takes special requests – add in the next step! Revera Traditional Stone Villas, Apartments &amp; Studios accepts these cards and reserves the right to temporarily hold an amount prior to arrival. Revera Traditional Stone Villas, Apartments & Studios accepts these cards and reserves the right to temporarily hold an amount prior to arrival. Please inform Revera Traditional Stone Villas, Apartments & Studios of your expected arrival time in advance. You can use the Special Requests box when booking, or contact the property directly using the contact details in your confirmation. Living in the countryside we are used to dogs barking,however,one night two dogs kept up the right all night.Nothing the owners of the villas could do but it was a problem sleeping. There isn’t air conditioning but to be honest we were told about this before we arrived. The nights are hot in summer so you really do need AC to sleep. The fans just weren’t enough and there is so much noise from dogs and roosters you can’t sleep with windows open. The only thing we missed was an air-conditioning. The toilet was broken. The toilet water did come back and it really stank out of the flush. Everyone was extremely friendly and welcoming. The food the absolutely excellent and the price was unbelievably good value. They could even charge more. We thoroughly enjoyed our stay and would definitely go back. Nothing, the place is amazing... But I must to say o of that the kitchen of my appartament is little. But maybe the kitchen of others rooms is more big. But there is everything that we need for cook. Assolutamente niente, il posto è perfetto, ma devo dire che la c cucina del mio appartamento è un po' piccola. Forse quella dell'altro è più grande, ma comunque ha tutto ciò che serve per cucinare.